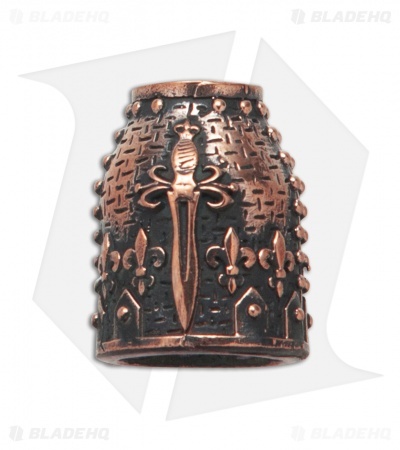 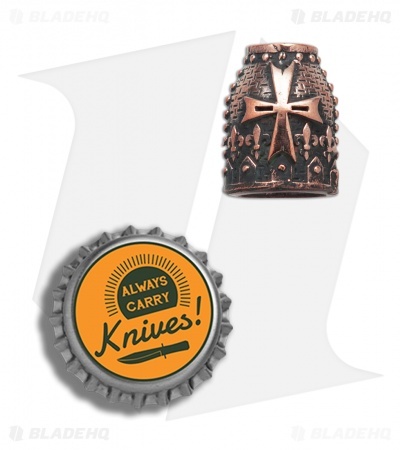 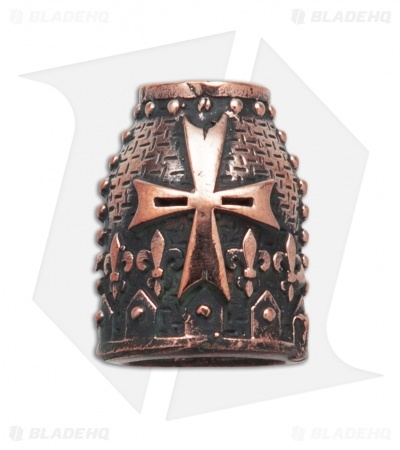 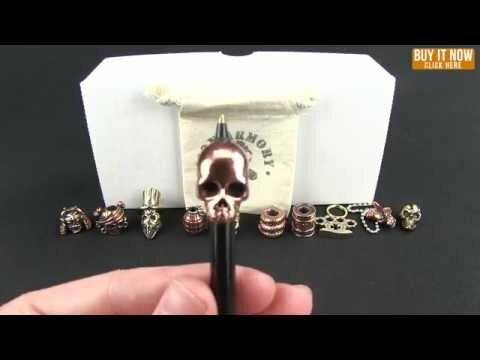 This Lion Armory Oath Keeper bead is made from solid copper. 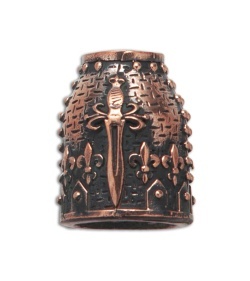 This bead offers an impressively detailed design, complete with an ample lanyard hole opening. Add a custom accent to any knife with the Oath Keeper bead from Lion Armory.